When a large technology company employed Turner Construction to build its new manufacturing support building in Oregon, Turner turned to SunSteel to deliver a turnkey supply and install scope of over 5,000 tons. SunSteel was up for the challenge and built the heavy brace frame columns and beams in their Sunnyside, WA facility. 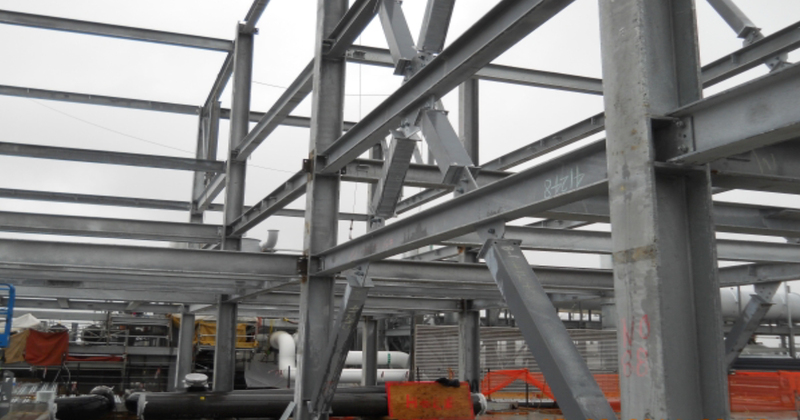 The 1,500 tons of roof top mechanical supports were also fabricated there and then galvanized in Portland. The owner is seeking LEED Silver certification.